On Saturday 24 February a special service of Choral Evensong took place in the cathedral to commemorate 100 years since the end of WW1. The German Choir of London joined the Cathedral Choir to sing specially selected pieces of music to celebrate both this point in history and the theme of peace. The service was part of a project called “Blessed are the Peacemakers”, under which The German Choir of London are travelling to several Cathedrals in the UK (including Coventry, Norwich, Liverpool, St Paul’s, and York Minster) as well as Belgium (Brussels Cathedral and the Ypres Menin Gate), and France (Notre Dame Paris) to sing in such services. 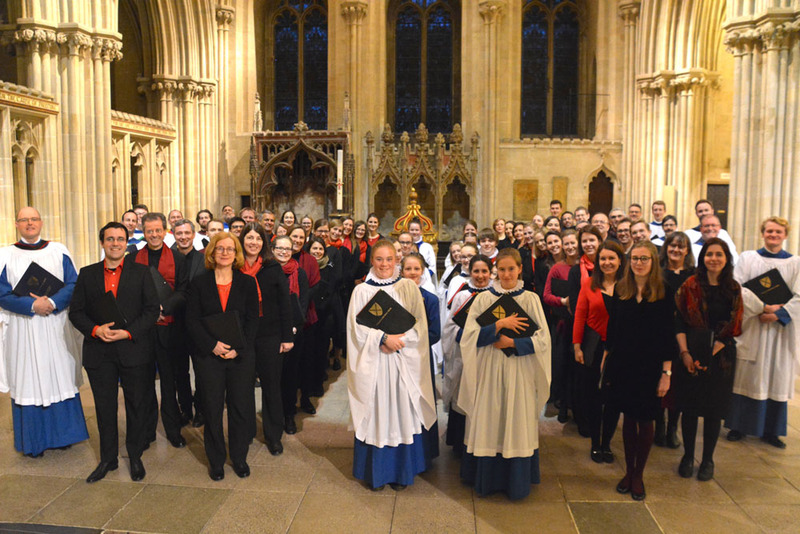 You can find out more about the German Choir of London's tour of UK cathedrals here. The joint choirs sang the Evening Canticles in D by George Dyson, who himself saw service in the First World War. The sound of two choirs was awe-inspiring in Dyson's grand setting of the Magnificat, whilst the serene Nunc Dimittis was particularly poignant. The service also included the premiere of British composer Orlando Gough's anthem 'Facing Home', a gentle but deeply felt setting of an evocative text: 'Never has life been so dear to us as now, standing here facing home'. Newer PostSnow doesn't stop play! Older PostThe Girl Choristers, Electrolaryngographs, and Psychoacoustics!